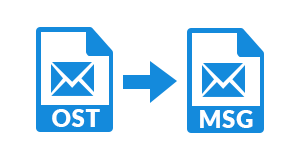 One of the major motives behind the creation of OST File to MSG Converter is to export OST files to MSG format. This is an innovative tool, which is designed considering the issues faced by users while looking for the migration process. It completes the process within some simple clicks. 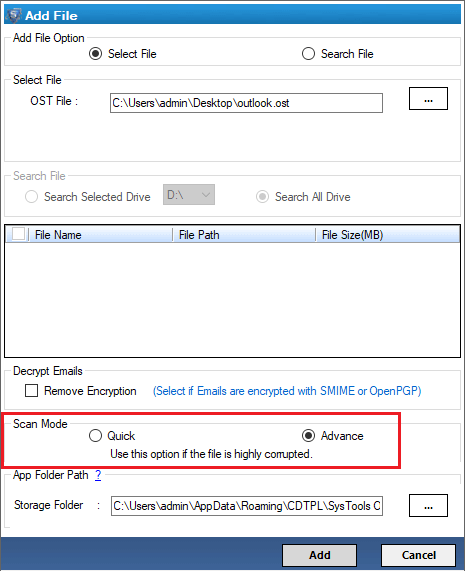 Users need to install the tool in the machine and then choose the files or folders they want to move from Outlook OST File to MSG Format. Tool will converts all the folders/files that are chosen in a very quick way. As the matter of fact, those users who are accessing Outlook offline data files from a long time, have OST files in bulk. However, they do not want to transfer every file to MSG format. Therefore, with this tool it is not necessary to move all the files. Yes, users can choose the date filter option for this. By this option, they can select the data falling under a specific date range very easily. They need to put “From Date” and then “To Date” for selecting only the required data. It helps in completing the process rapidly. Apart from it’s some of the commendable features, OST File to MSG Converter provides the entire report of scanning. After the selecting, the OST files that need to be repair. The tool begins the process of scanning and then displays the details such as no. of files & folders, file size and date of the creations. Similarly, it comes up with the completion details once the process of conversion has been finished. With this, users can verify the data that have been migrated. Security of the data is one of the major concerns of any user. As data is the crucial thing for every organization or user. Therefore, this ost to msg converter tool keeps the Meta property intact along with the attributes. It provides the same structure of the tool just like before the conversion. Along with the structure, the entire data is safe during and after the migration. No modification is done and the resultant MSG file can be accessed in its supportive platform. OST File to MSG Exporter comes up with some essential features and one of these features is that it has no file size restriction. It means, no matter how big the size of OST file it can be migrated very easily with the help of this amazing utility. This is a crucial feature as users have so many files that are big in size. Therefore, once the launch of the software is done, users can choose any of the file. It is tested with an OST files, which has the size of 20GB during its testing period. 4. Date (DD-MM-YYYY) + From+ Subject, etc. 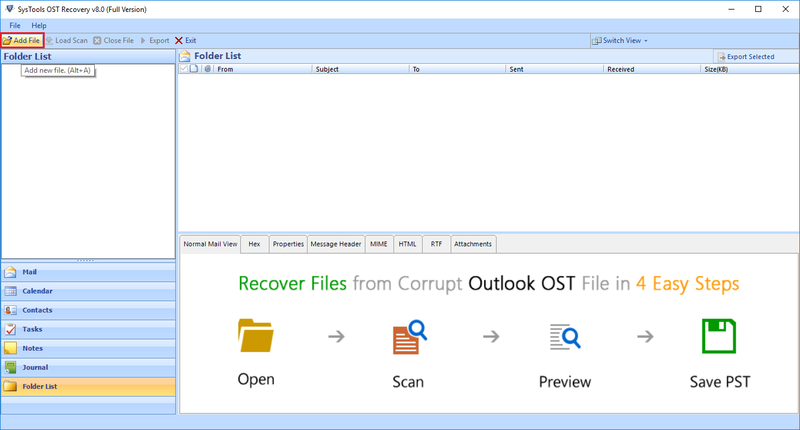 Does OST File to MSG Converter is capable to repair corrupt OST files? Yes, the software can easily repair corrupted or damaged OST files before conversion. Is there any file size limitation associated with OST data? No, there is no file size limitation and you can convert any OST file regardless of the size. Can I export a particular email with the help of this tool? 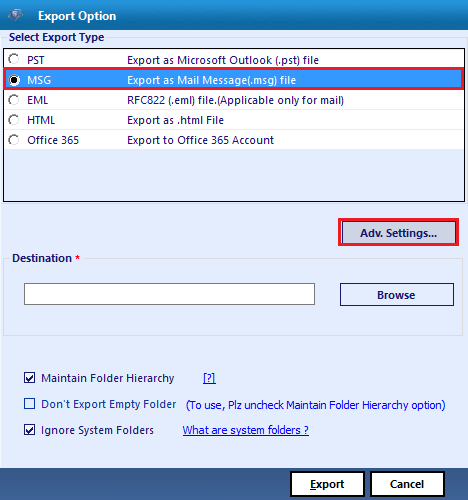 Yes, you can export a single mail as well effortlessly. Does the utility require any extra environment for the conversion? No, it is completely stand-along utility and does not need any other application for the conversion process. Is the software capable to moves the OST data in bulk? Yes, our the software can easily move the data from OST file in bulk. Download .EXE setup file of our tool for installation. After the successful installation, launch software either by clicking on its desktop icon or by going to Start then, search for OST File to MSG file converter product, and click on it. 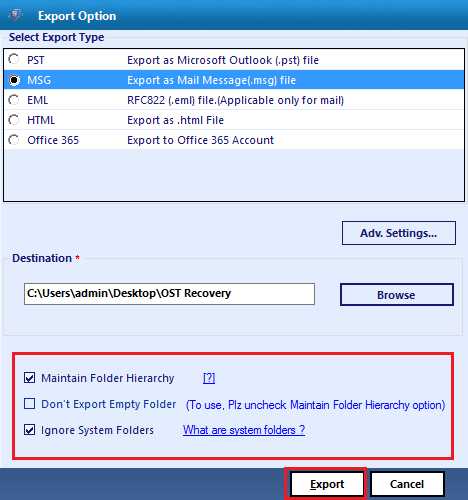 Click on Add button to initiate procedure of selecting source OST file, whose data items are to be saved in MSG file format. Click on ... button to initiate procedure of selecting source OST file. All OST mailbox folders get loaded on preview window of the converter. You can have a look on that displayed data and then, proceed further. 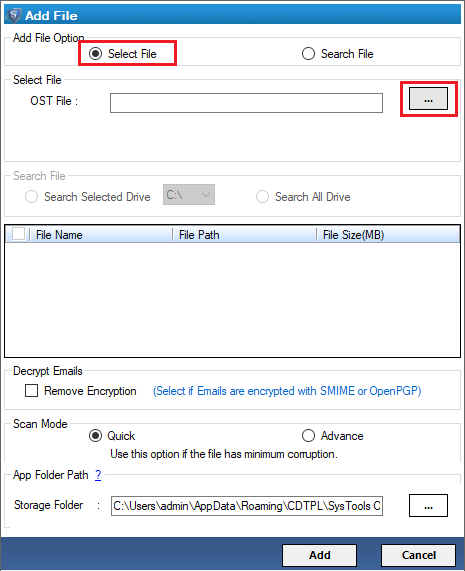 There are two advance settings features provided for MSG file and they are described below and after applying features click on Export button. 1. 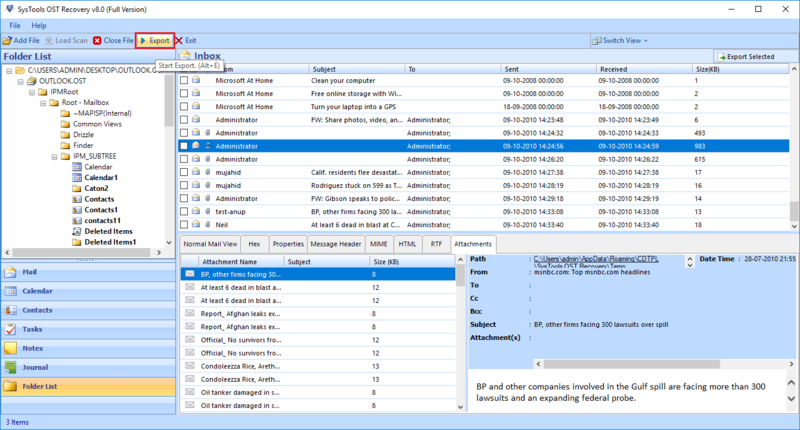 Mail Filter : Customize emails, which are to be exported by selecting a specific date. 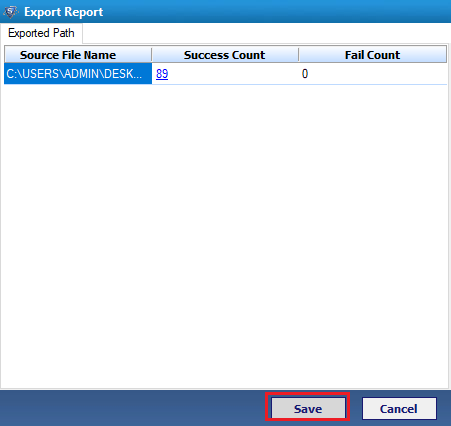 Now Software will enable you to save conversion process report in .csv format. Simply Click on Save button. 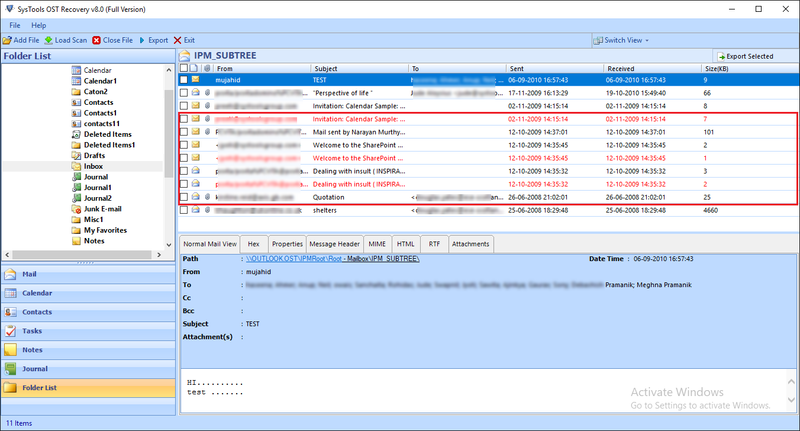 "Inevitably OST to MSG Converter is a tool, which deserves all praise and applaud. It helped in a problematic situation. In the stage where I was looking for a relevant method to move my data from Outlook OST file to MSG. The software is so easy to use because of its user-interactive interface. All the filter options are available in one panel of the tool. I would like to convey a big thank you from the bottom of my heart to the team of developers." "I wanted to know that how to migrate OST files to MSG and one of the colleagues has suggested my OST File to MSG Converter for this purpose. I install the software in my system and convert some of the selective files that are required into MSG format. Seriously, this is superb utility. The best thing about the software is that it is compatible with the Windows Operating System. In short, this is a must use simplified technology."